Are you a Social Development, Journalism, Communication, Marketing, Media Studies, Social Entrepreneurship, student or recent graduate of a similarly relevant academic program, and you are looking to gain relevant experience or develop work into relevant academic work material? Would you like to do something meaningful while building your CV? Do you want to take responsibility for important projects that lead to concrete and sustainable results? 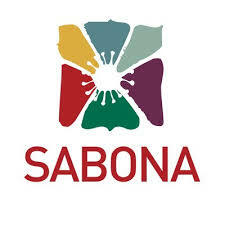 Sabona is looking for a Marketing and Social Media Communication intern for their office in Oslo, who can take ownership of Sabona’s communication strategy implementation. Here you will be part of a small team that works hard, has fun and delivers amazing results for many people on need! You’re a Great Storyteller: Sabona has a story worth telling! Share the story through brand journalism, public relations, blogging and feature writing, newsletter, social channels. Does this sound like something for you? We would like to hear from you. We partner with HA Consulting in this search. Send a presentation in the form of your choice (standard CV, LinkedIn profile, video presentation, blog, etc.) to: Ramona Enica (925 16 216, ramona.enica@haconsulting.no) or Håkon Heskja (90 50 50 12, hakon.heskja@haconsulting.no). Start date as soon as possible, with a commitment of min 6 months, ideally 12 months / 6 - 20 flexible working hours/week. The internship is unpaid, but there will be opportunities for gaining relevant experience, networking and professional development. Join an exciting environment and be a key player in several critical communications areas for a non-profit organization!